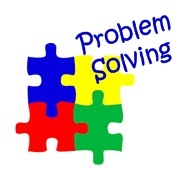 Problem solving is the process of identifying problems and their causes, developing and evaluating possible solutions, and implementing an action or strategy based upon the analysis in order to achieve a desired goal or outcome. The ultimate goal of problem solving is to eliminate a problem. The problem solving process involves identifying a problem, gathering information, generating and evaluating options and implementing solutions.